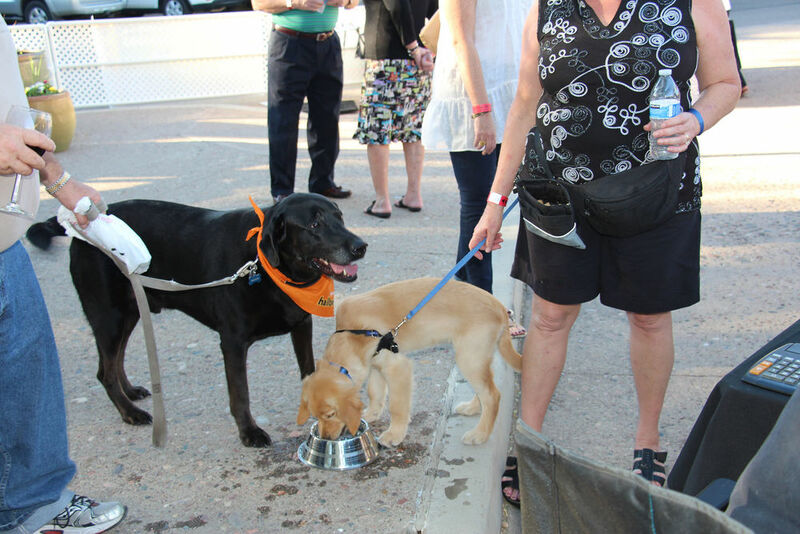 Since our inception in 2000, Desert Labrador Retriever Rescue has saved 2,585 Labs in need! Last year, DLRR rescued, rehabilitated and rehomed 224 Labs into loving new families. Because Arizona's animal shelters are severely overcrowded, DLRR is often the last chance a Lab may have. Any treatable illness or injury and of course, space issues, force kill shelters to put even friendly Labs on the euthanasia list. The majority of our Labs are from Arizona county pounds and shelters. We also take owner turn-ins when we can and there is no shortage of Labs that need our help due to the economic hardships that many of their owners continue to face. Veterinary care continues to be our biggest expense. We take the health and well-being of our dogs seriously and do our very best to make sure that all of their medical needs are met. Approximately 97% of the funds we receive are used to address the medical needs of our Labs. DLRR pays for any veterinary treatment required and ensures that all Labs receive updated immunizations, altering and microchips. Last year, DLRR's veterinary and dog training costs exceeded $260,000. This adorable 7 yr old was rescued from the euthanasia list at the Tucson pound. He had ear infections, tick fever and heartworm. As if that wasn't enough, further tests showed the poor boy also had B-cell lymphoma. DLRR paid for chemotherapy and today gentle Omar is in full remission and ready to meet his new family! Our gorgeous DLRR 2012 calendar cover girl was surrendered by owners who left a serious leg injury untreated for almost 7 months. Bella was in such pain that she severely chewed at her foot so there was additional injuries down to her bone. The muscles had atrophied all the way to her shoulder making her leg useless. DLRR paid for the amputation of her leg, shoulder and scapula. Now Bella is a happy, playful girl free of pain and in a wonderful forever family where she gets all the love she could wish for! This handsome 3 yr old fellow was rescued from the euthanasia list at the Phoenix west-side pound. Poor Donald has heartworm but DLRR is getting him the medical attention he needs so now he is on his way to recovery and with his new family. This precious senior girl was rescued from a yard so infested with ticks that she had literally thousands of them on her which took days to remove. She was incredibly weak and DLRR saved her in the nick of time! In addition to the obvious neglect, it did appear Maggie had also suffered abuse as she didn't seem to know what a loving touch was like. Maggie was adopted by her foster home who decided to make her last years the best of her life! Another pretty girl that was very lucky DLRR came along! This 4 yr old beauty was born with congenially small eyes which caused very early development of cataracts. Upon coming to DLRR, her vision was extremely poor and getting worse so DLRR paid to surgically remove her cataracts which greatly improved this girl's vision. Today, this joyful gal is loving life with her forever family! This shy, gentle puppy was rescued with several other Labs from the horrid conditions of a backyard breeder. It was apparent all the Labs had never known a loving caress or kind word. Cooper also needed Cranial Cruciate Ligament (CCL) surgery on both of his front legs in order to live life pain free. Cooper has now found his forever family!